Dr. Prasad received his graduate degree from the University of Madras in 1991. He completed his Internship and Residency in Internal Medicine at the Henry Ford Hospital, Detroit, MI. He completed his Fellowship training in Gastroenterology at the Texas A&M University College of Medicine in 1999. He has been with Digestive Care Center since 2003. He is certified by the American Board of Internal Medicine – Gastroenterology and also holds Texas, Michigan and Indiana State Medical Licenses. In addition to providing consultative gastroenterology and hepatology care, he specializes in colonoscopy, upper endoscopy, colon cancer screening, acid reflux disease, irritable bowel syndrome and endoscopic ultrasound (EUS). 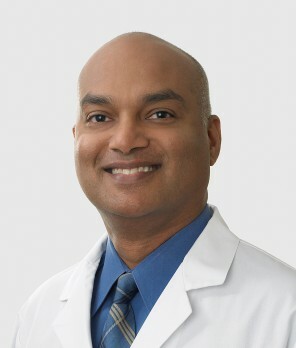 Dr. Prasad is a Volunteer Clinical Associate Professor of Medicine at the Indiana University School of Medicine and is a member of the American College of Gastroenterology, American Society for Gastrointestinal Endoscopy and American Gastroenterological Association.